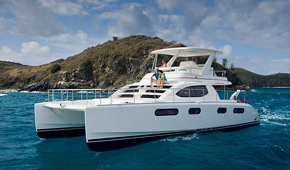 Motor yacht charters in the British Virgin Islands. 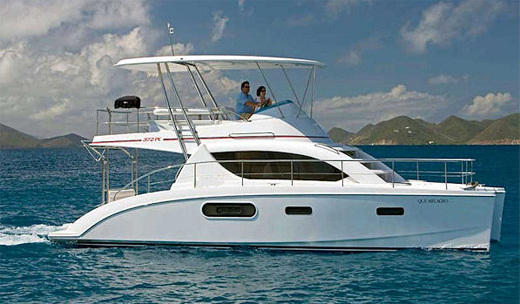 Come charter a power catamaran and explore the magnificent British Virgin Islands! Sailing is always fun ... but there's a lot to be said for getting from point A to point B within a short period of time. A powerboat allows you the flexibility to visit several anchorages and ports of call in one day, making the most of your (always too short) Caribbean bareboat vacation. Captain only charters and power boat handling lessons are available for those wishing to learn the basics such as the rules of the road, where and how to anchor safely, how to pick up a mooring ball, simple navigation and how to read a nautical chart. Sorry, but certification courses are not available. At the moment, we are short on motor yacht inventory but we hope and expect that will change in the very near future. 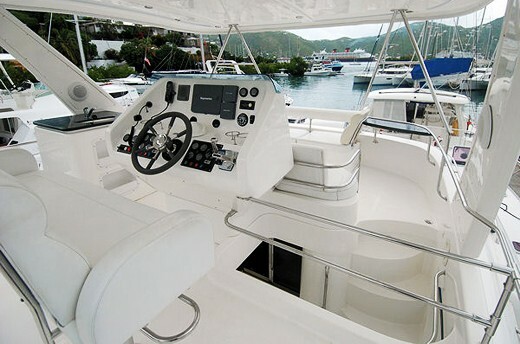 Anyone wishing to purchase a new yacht to put into charter service in the BVI is strongly encouraged to give us a call. We will be more than happy to put you in touch with the right management company to maintain your yacht and charter it out for you. Please keep in mind that the minimum charter period is 5 nights year 'round and 7 nights over Christmas and New Years. 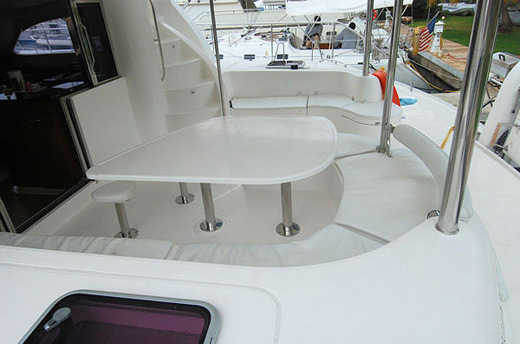 Robertson & Caine took all their years of catamaran building knowledge, beefed it up, added more power and produced one of the most popular cruising cats in the BVI! 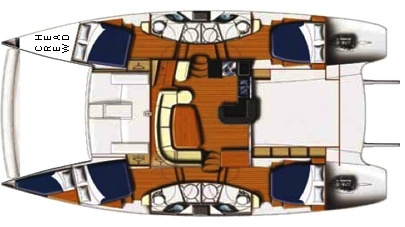 Topsides, she features a very comfortable flybridge with wrap-around seating for 8, plus 2 to 3 more at the helm. A built in wet bar helps make this a wonderful space for entertaining too! Her covered cockpit boasts an outdoor dinette with seating for 8. She boasts wide, uncluttered decks, a huge, open space on the bow for sun tanning and the large sugar scoops provide easy access to your dinghy and swim platform. 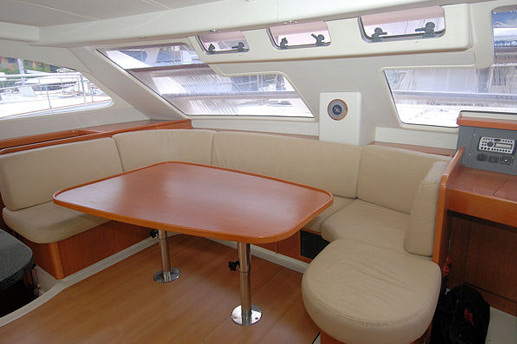 Her interior is very nicely finished and very conducive to lounging and socializing. The main salon faces aft with comfortable seating around a lovely cherry wood table. A flat screen TV with DVD player is an added bonus! 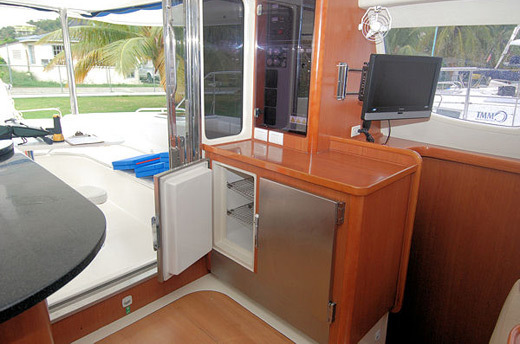 The galley also faces aft and features a pass through window to the cockpit. 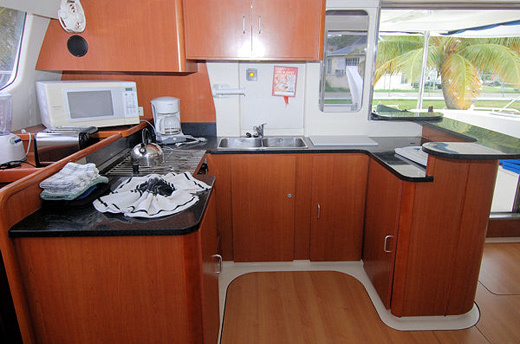 It is well ventilated and very well equipped with a double stainless steel sink, microwave, 3 burner stove with oven below, and of course an electric toaster and coffeemaker and blender for making those marvelous Caribbean smoothies! The 4 double cabins with en-suite head and shower offer comfortable oversized double berths with hanging lockers and storage in each. The forward port cabin also has an access hatch to the forward crew cabin. So if one of your couples has a young child, feel free to bring them along! 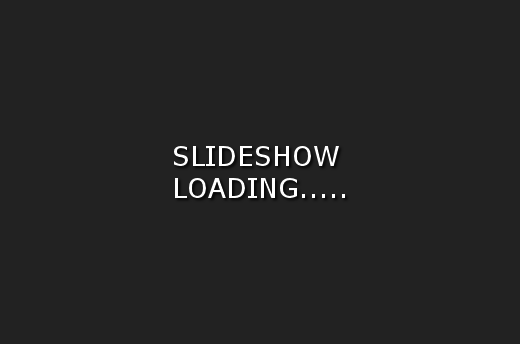 Note: The equipment list is believed to be accurate but is not guaranteed. 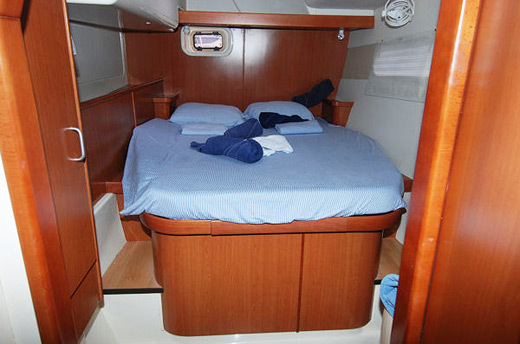 2 Forward queen cabins - Sleeps 2 in each Berth Size: 6'6" x 5'5"
2 Aft queen cabins - Sleeps 2 in each Berth Size: 6'6" x 5'5"
Note: If you require a captain, ASA instructor, or cook, they will each require a cabin. See Crew notes below for further details. If considering booking your BVI sailing vacation and would like the price for Happy Hours, enter your preferred charter dates at the top of this page and return to the charter rate section to see your net charter fee, including any applicable discounts. Note: The minimum charter period over Christmas or New Years is 7 nights. A sleep aboard is not considered a charter day. 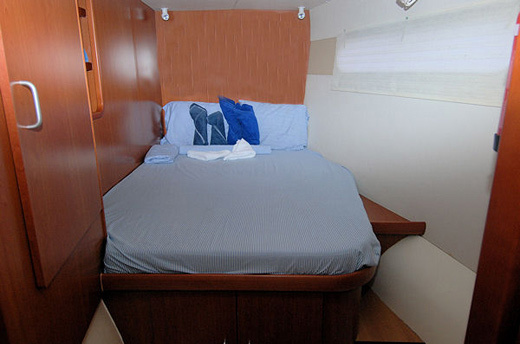 Prices indicated are for 7 nights aboard and all charters begin and end at 12:00 noon. Please note that Happy Hours is not available during hurricane season from: September 1 to 30. 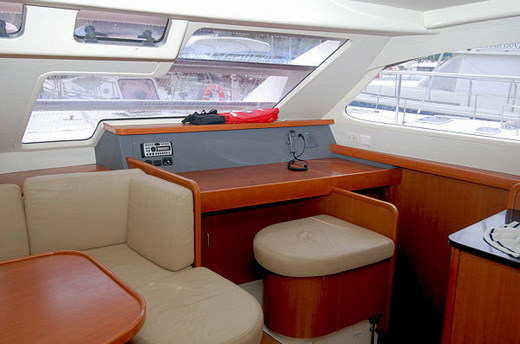 Interested in booking the Leopard 47 Powercat, Happy Hours?